Open Mon.-Sat. 8 a.m.-8 p.m., Sun. 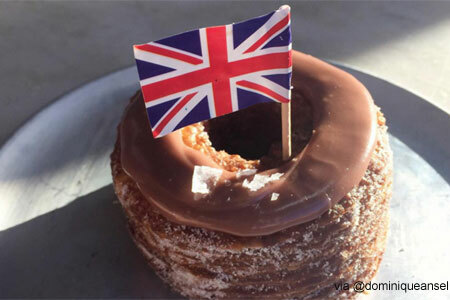 9 a.m.-8 p.m.
: Dominique Ansel, chef/owner of Dominique Ansel Bakery in New York, has opened a location of Dominique Ansel Bakery in London. Patrons line up for his invention the "cronut," a half croissant-half doughnut. Also on the menu are cakes, tarts and other pastries, plus soups, salads and sandwiches. The "Eton Mess Lunchbox" puts a new spin on the traditional favorite with "strawberries" composed of mousse and jam, along with black pepper mini meringues, fromage blanc and mini basil.